If you are looking for the ‘Tangle Starts‘ giveaway, you can find it here. If you are looking for the Taste of Zensations Zebra Pens giveaway, you can find it here. In the U.S. the Cardinal is associated with the holidays so I did a step-out for that bird last week. 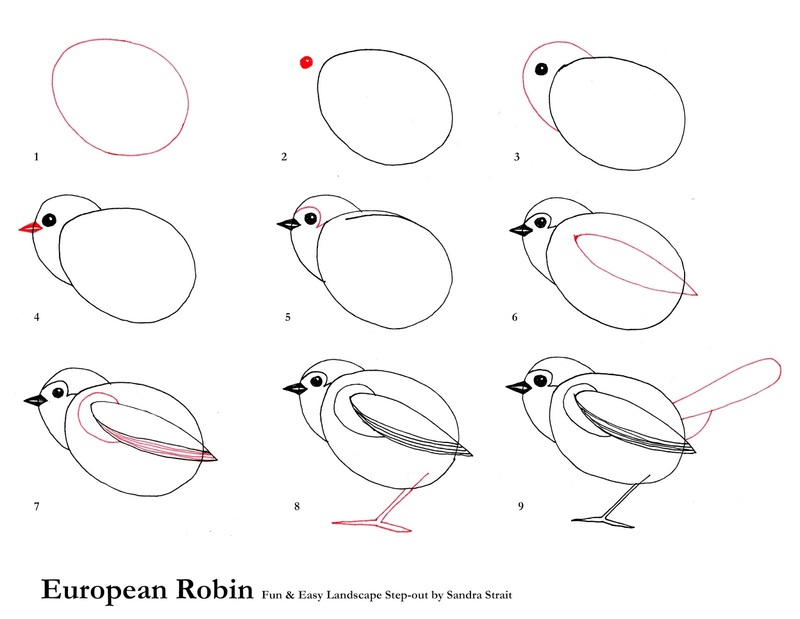 I’m told that the European Robin is the holiday bird for the U.K. so that’s what I did this week. I suspect it will give some of you trouble because you’ll fuss with getting that first egg shape at the right angle and getting the head the right size. Try not to do that (but you’re probably like me, and you will, lol). It’s more important to get a feeling for how all the parts go together first. Once you feel a little more comfortable with all the steps – that’s when you want to start working on sizes and angles. It’s a bit like following a map. If you have a general idea of the route and what you are looking for at the end, it’s much easier to follow the directions. I put these steps in the order that I thought would best give you the feel for how everything fits. It isn’t the most logical way because you have a vertical line bisecting the beak and wing. You might want to play with this in pencil so you can erase those lines. Or just ignore them. Sorry for the sloppy drawing – I’ve got several pieces of art I’m trying to get done and I’m hurrying a bit. 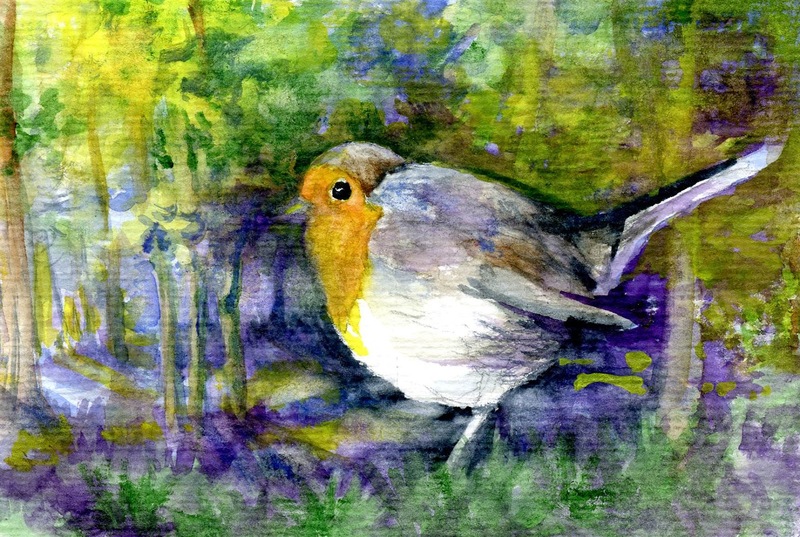 My example robin was done with Da Vinci Watercolors on a Hahnemühle Watercolor Postcard.